We are all guilty of many games that we like to play but would be embarrassed if we knew our friends and close family knew we took enjoyment from them. Cyberdimension Neptunia Four Goddesses Online is one of those games. The latest offering of the Hyperdimension Neptunia series is one that I am not overly familiar with although for the longest time I have always had a keen interest in. 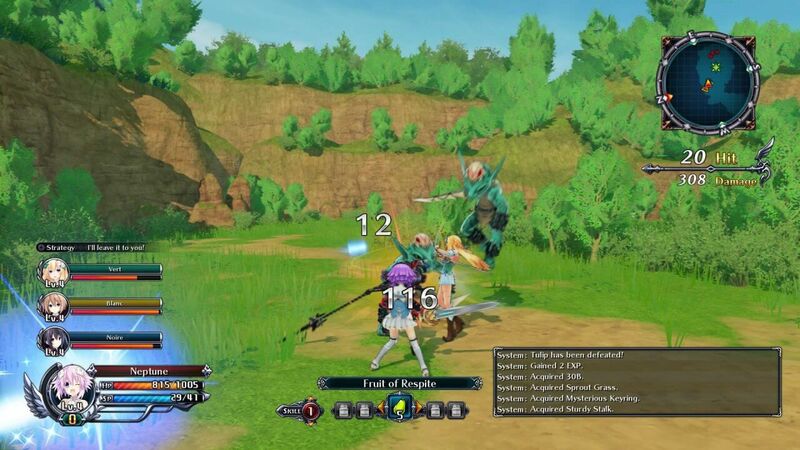 The games setting takes place in Four Goddesses Online a fictional massive multiplayer online role playing game that has been referenced during the series. The game uses real forms of the CPU’s as models. Upon entering the MMO world the party is approached by Bouquet who is the games NPC who is programmed with the most advanced Artificial Intelligence. She tells the party that they are the chosen ones and must save Alsgard from the Demon King Jester. 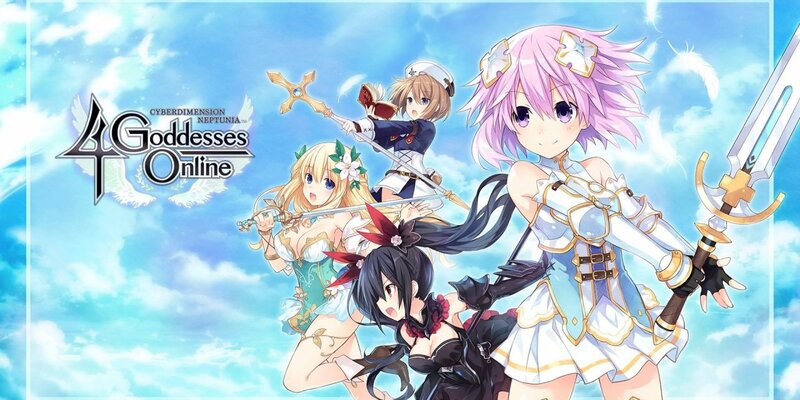 You play as four friends Neptune, Noire, Vert and Blanc who each play as MMORPG style classes which are Paladin, Dark Knight, Enchanter and Priest respectively. 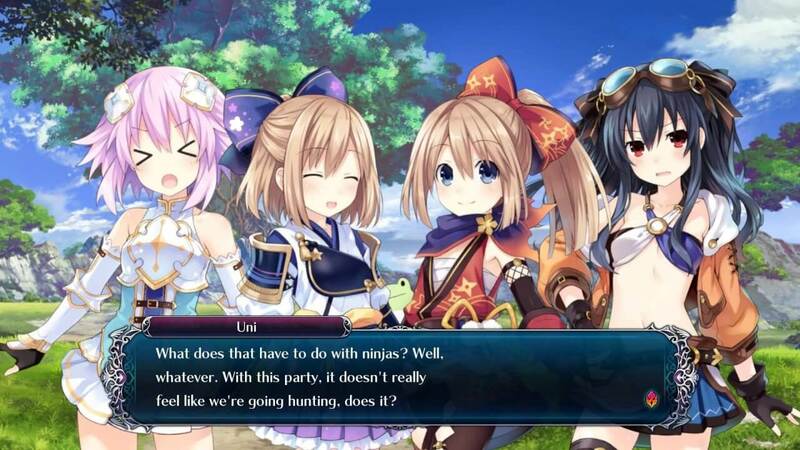 Later on you get four more playable characters who are Nepgear, Uni, Rom and Ram who play as Mage, Thief, Samurai and Ninja, altogether they make up a Guild known as CPU. As I am unfamiliar with the characters personalities before Four Goddesses Online I am also unaware of the binding relationships with the characters. It does become known early on that the girls are close knitted as the four initial characters are related to the later playable characters besides Vert who carries herself as a nurturing older sister. Vert is instantly smitten with Bouquet and the other girls but mostly Bouquet and sooner or later forced bosom cuddling ensures.With this in mind it is apparent that Four Goddesses Online contains plenty of sexual themes and innuendos. The gameplay of Four Goddesses Online is simple and reminiscent of an MMORPG. 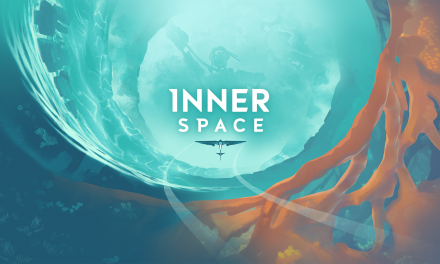 You play as one of the characters whilst the other three are controlled by AI. Pressing Square does the initial attack which you will be doing a lot and will build up your SP, this is used for performing your special moves to which you can bound up to eight different specials at a time. You can have five sets of items bound at a time also which can be used at a press of a button. You also have a special gauge which when full can be used to temporarily boost your characters stats. This all happens on a field which reminds me of games such as Sword Art Online and the Phantasy Star series. 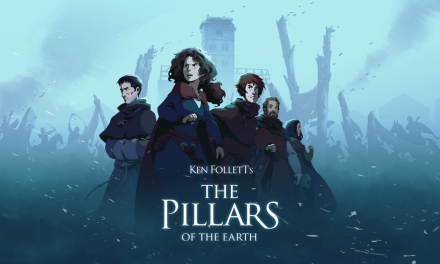 When you are in town you are greeted to a flashy screen with silhouettes of players, NPC’s, Shops and Buildings. You interact by moving the on screen arrow and selecting where you would like to go or who you want to interact with. These unlock more shops and certain wares become available later on. You can accept quests in town which you will go onto a map screen where you can pick your destination in the same way you choose on the town map. 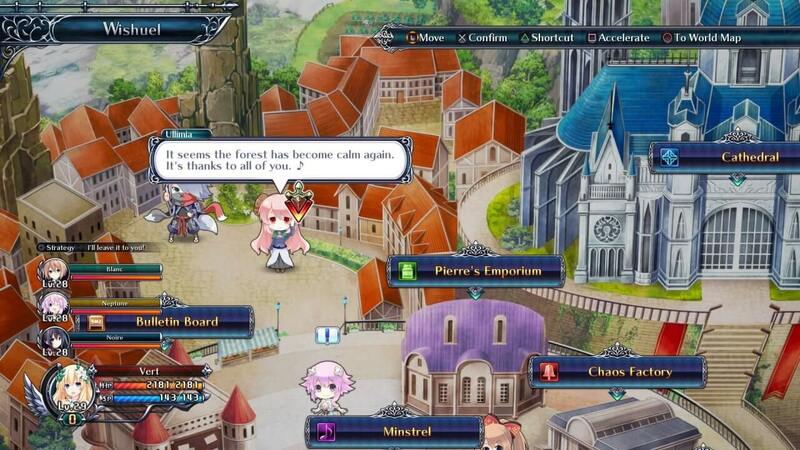 Four Goddesses Online does come with actual online features. 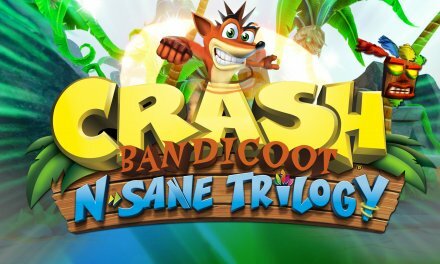 You can play as one of your favourite characters along with four others and play as a party without the need for AI controlled party members. The Online feature is nice even though it doesn’t work great and at sometimes it’s hard to find a party but that really is down to time zones. It has search features but they aren’t really needed because of this. 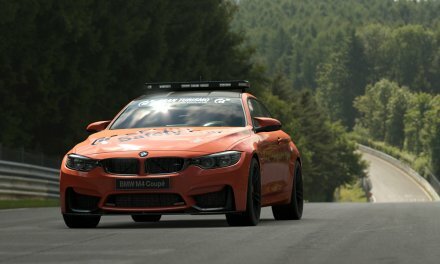 The customisation option for characters is one of the best features for this game as it is endless. There are many costumes and accessories which can be purchased for characters. Accessories include masks; glasses; wings and hair-bands which can be placed on characters in whichever way you want. 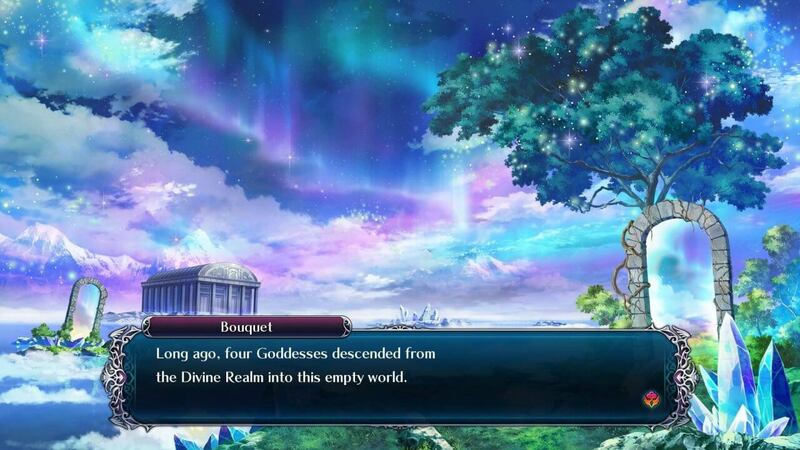 Four Goddesses Online is chock-full of MMORPG terminology and if like me you understand the concept of these styles of games you will understand them too. Tanks are mentioned and they do the job of keeping aggro however later on they become obsolete especially when you out level everything later on in the game and the game isn’t overly difficult either. When it comes to character AI and healing it doesn’t work great but early on it is more viable to play the healer role and end game it won’t matter again due to the strength of the party. That does not mean the game isn’t fun because for me it is, it may not be for everyone but there is many hours that can be put in. My issue with Four Goddesses Online is the loading time when starting up the game; at first I thought it was an installation screen but it comes up every time, it is a minor issue however and it is just a few minutes and if like me you play for many hours it hardly matters especially when loading times once in game are very short. Summary Cyberdimension Neptunia Four Goddesses Online is a fun JRPG that has a lengthy campaign with plenty of side-quests to do also; one side-quest will always turn into one more and one exploration venture will always turn into another. It may not appeal to everyone however due to its simplistic battle system with half clad girls and it being directed at a niche market. For those interested or who are not strangers to the Hyperdimension series then this may just be for you.